A shares doubled in the year. These two sectors are strong in the near future! But the two hidden concerns cannot be ignored. In early trading today, affected by the expected growth of social welfare in March, the A-share market opened up sharply. 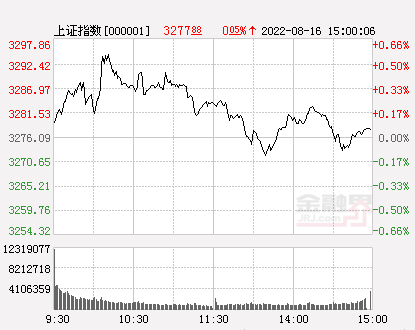 Due to the large increase in the previous period, the pressure on the top of the index also began to appear, and the major stock indexes showed a trend of falling. As of the close of the day, the Shanghai Composite Index rose 1.12%, Shenzhen Securities Index rose 1%, and the GEM index rose 0.28%. Last Friday, the central bank’s website released information that preliminary statistics showed that in March, the new social financing was 2.86 trillion yuan, an increase of nearly 1.3 trillion yuan over the same period last year. In the first quarter of 2019, the scale of social financing increased by 8.18 trillion yuan, an increase of 2.34 trillion yuan over the same period of the previous year. 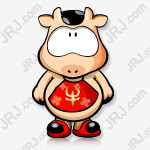 At the end of March, the stock of social financing was 208.41 trillion yuan, a year-on-year increase of 10.7%. Stimulated by this positive news, today's banking sector opened higher and higher. As of midday, all banking stocks rose to varying degrees.Bank of NanjingLeading up,Industrial Bank,Ping An Bank,China Merchants Bank,Construction bankWaiting for the increase. The General Administration of Customs also released data on Friday. In the first quarter, the total import and export value of China's goods trade was 7.01 trillion yuan, a year-on-year increase of 3.7%, achieving a smooth start. Among them, exports were 3.77 trillion yuan, up 6.7% year-on-year; imports were 3.24 trillion yuan, up 0.3%; trade surplus was 529.67 billion yuan, up 75.2%. Among them, China's export growth rate exceeded expectations in March, a substantial increase of 21.3%, achieving double-digit growth. Although the export in the first quarter affected the large fluctuations in the first quarter, the trend has improved from the margin of December. Due to the strong recovery of exports, as of the end of March, China's foreign exchange reserves increased by 8.6 billion US dollars from the end of February. This is the fifth consecutive month of rising foreign exchange reserves in China. Overall, there has been no change in the long-term fundamentals of the Chinese economy, which is conducive to the stability of China's foreign exchange reserves. With the advancement of China's reforms, the channels for foreign capital to enter China's capital market will be further broadened, and RMB assets will remain attractive to foreign capital. After entering April, as more fundamental data becomes clearer, the trend of some industries is getting better. For example, from January to March, the number of new energy passenger vehicles increased by 117.80% year-on-year. Although the passenger vehicle market in the first quarter was still slightly depressed, it showed signs of improvement month by month. With the implementation of personal income tax adjustment, the future purchase of domestic consumption will increase, and the implementation of favorable policies such as corporate tax reduction, the passenger vehicle market will gradually pick up. Auto stocks have also been strong recently.Lifan sharesSince the signing of a strategic cooperation agreement with Wuhan Taige in Chongqing last Friday, according to the agreement, Lifan and Wuhan Taige will develop, produce and sell hydrogen fuel cells, develop and promote hydrogen energy passenger vehicles, and capital cooperation. Carry out strategic cooperation, today Lifan shares a daily limit;FAW CarContinued the strength of last Friday, also a word limit;Dongfeng TechnologyAfter three consecutive daily limit, it continued to hit the daily limit in early trading today. Although it has fallen back, it still rose more than 7%. Although the macro side is positive, investors should also pay attention to the fact that from April, the risk-free interest rate has started to rise significantly. The 10-year government bond yield has risen from 3.05% at the end of March to 3.34% at the end of last week. In the month, it rose nearly 30 basis points. Today, in March, under the influence of the expected increase in social welfare, the main contract of the 10-year government bond futures opened sharply lower by more than 0.6%, hitting a new low in the year. So from a liquidity perspective,After the market in April, the market actually entered the interval of “tightening the letter”.For the market, the most comfortable range of liquidity has passed. From the historical performance point of view, in the "tightening of the letter", the blue chip stocks are better than the growth stocks. How will A shares go in the future? According to Wind statistics, as of today's midday, more than 100 stocks in the A-share market have doubled this year (excluding new shares). 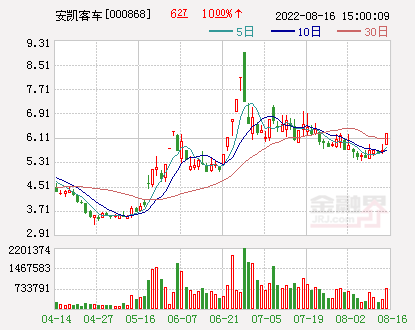 New high-priced stocks of 100 yuan this yearVertex softwareRanked first with a gain of 276%.Zhengbang TechnologyFollowed by a 272% increase,*ST Van Valley230% increase is in third place.Eastern CommunicationAlthough it retreated some of the gains, it still rose by 146% during the year. While the stocks soared sharply, the index also entered a strong resistance range, coupled with the risk-free interest rate, and the future A-shares rose sharply. For the market outlook,Shen WanhongyuanSaid thatThe fact that the total amount of social welfare exceeds expectations is not necessarily good, because it means that the total policy is difficult to exceed expectations, and the short-term market has limited upside.The steady growth target of the management is “close to completion”, which means that the total policy expansion in the first quarter may be gradually given to the structural adjustment policy. The subsequent direction that may actually exceed expectations is the reduction of taxes and fees, and the effect of supporting small and micro-civil enterprises. This is the direction that should focus on potential investment opportunities. Haitong SecuritiesIt is also pointed out that last week, the central bank announced that the newly added social financing in March was 2.86 trillion yuan, which was much higher than expected, while the growth rate of M2 rebounded to 8.6%. The growth of social welfare growth indicates that the future economy is expected to bottom out. Coupled with a significant rebound in inflation in March, meaningThe need for further easing of the central bank's monetary policy has declined significantly, and the probability of future RRR reduction may be significantly weakened. High opening and low walking shows that the market is "heartless". A new wave of decline will start in this way. 130,000 shareholders pay attention! Today is the last day. Forget about it or lose 20%! The market is going high and low, but this humble sector is expected to step out of the independent market.